Daniel Jackson, Jr. and his wife Elizabeth had this house built in Pasquotank County about 1755. Its hall-and-parlor plan is larger and more finely finished than typical small farmhouses of that time. The children slept in the unheated loft above. Like many farmers, Jackson did other work, probably carpentry or coopering. The Jacksons’ widowed granddaughter, Polly Jackson Scott, moved back into the house in 1813, weaving linen and woolen cloth to support her family. 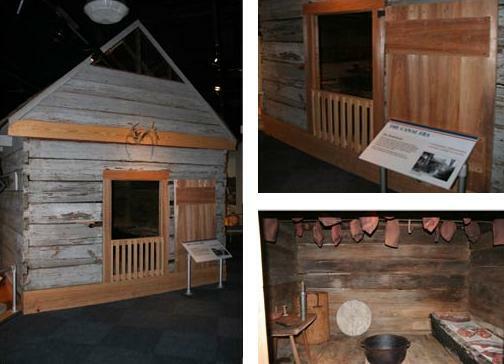 Smokehouses were essential to the food supply on farms of every size. Hogs, the most numerous livestock, were slaughtered in the cold of winter. Meat was first packed in salt to draw out as much moisture as possible. Later it was hung and “cured” in the smoke of a low fire. To protect the valuable contents smokehouses were always locked. Built in Perquimans County between 1826 and 1850, this smokehouse belonged to the Proctor family for many years. 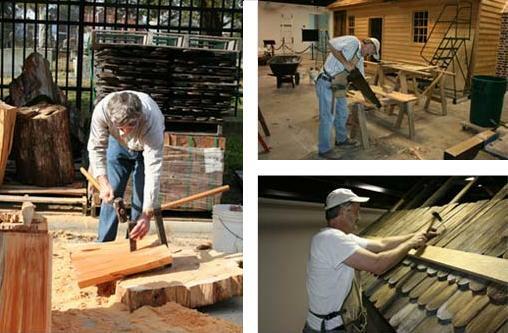 Russell Steele, is the local noted restoration carpenter responsible for the complete reconstruction of the two historical buildings at the Museum of the Albemarle; the Jackson House and the Proctor Smokehouse. 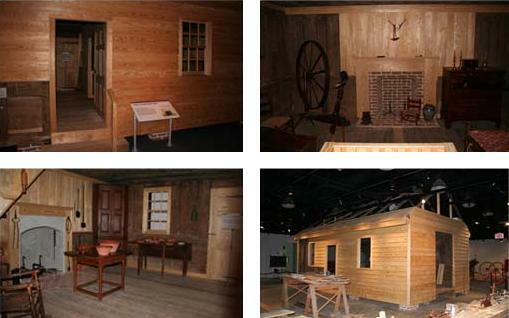 While working on these two intricate projects, Steele used authentic tools and demonstrated the processes of early construction and woodworking to many interested visitors. Steele is a recipient of the prestigious Paul Buchanan Award, a national award which recognizes excellence in reconstruction of historic structures. This award was given for his work on a seventeenth century village in Maryland.